PSA Group is creating a standalone electric vehicle division as it pushes ahead with plans to have electric models across its range by 2025. PSA’s Alexandre Guignard has been appointed senior vice president of the group’s new EV business unit. Established with a global remit, the Low Emission Vehicles Business Unit will have responsibility for driving ahead the group’s EV strategy across its five car brands, Peugeot, Citroën, DS and Opel/Vauxhall, and its Free2move mobility brand. Speaking earlier this year, CEO Carlos Tavares confirmed that “Every model will have an array of powertrains including at least one electrified one”. This includes in the US, where the brand is to re-enter the market following a 25-year absence. PSA had already announced an electric Corsa for 2020 and a plug-in hybrid Grandland X in 2019. 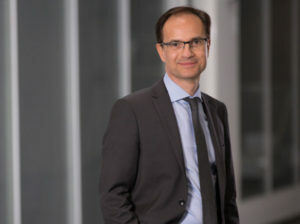 The new dedicated EV business unit will be headed up by senior vice president Alexandre Guignard, who brings more than 11 years at PSA, and will have two priorities: profitable growth and making a contribution to PSA Group’s CO2 objectives. The announcement comes as a number of carmakers accelerate their research into EVs. Earlier this year, Volkswagen said it was creating an additional board of management division to oversee its electric mobility programme as it pushes ahead with plans to launch the first of its all-electric I.D. range. The brand is planning 300 “electrified” models by 2030.